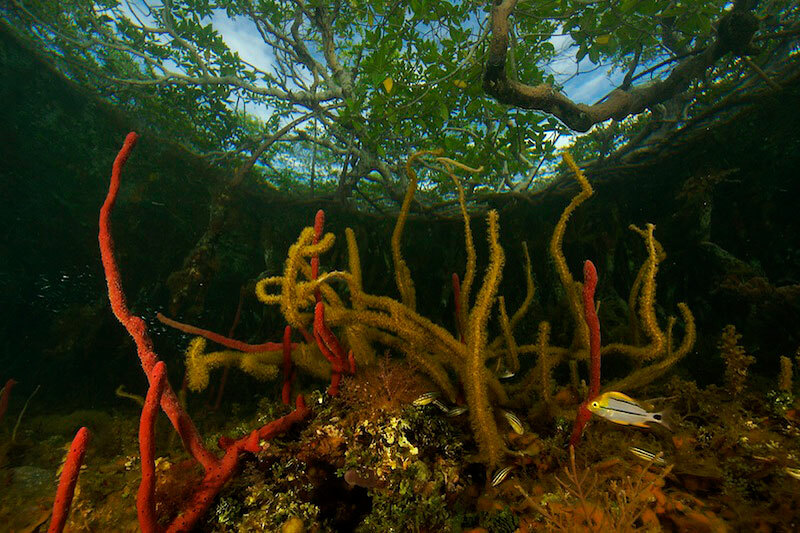 The view from below - under the mangroves. The view from below - under the mangroves. This habitat is an important nursery area and provides shelter for many fish species.